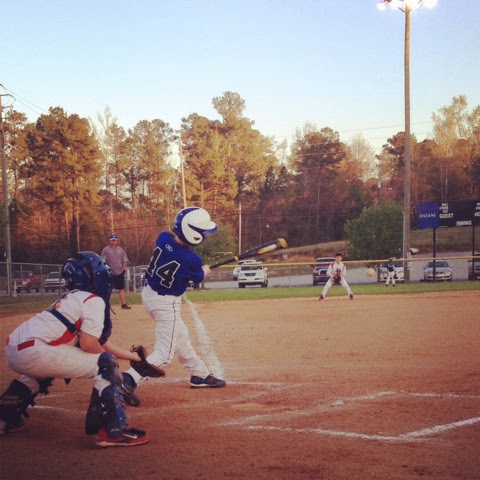 Jackson is playing ball in a Wednesday night league and they had a double header in Montevallo and won both of their games! Brylee was suppose to have a game in Columbiana tonight but the lights went out and were unrepairable so she did not get to play! She was so disappointed! 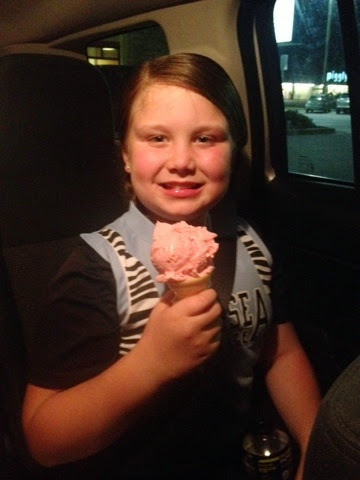 So daddy treated her to ice cream to try and cheer her up! 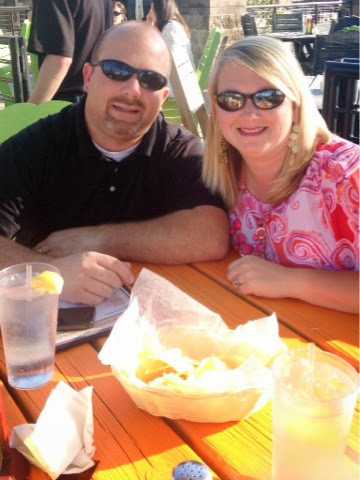 We enjoyed some much needed patio time at Pablo's with all things Mexican on this beautiful evening. It was a nice relaxing evening before daddy and JP left for their trip! Saturday, April 12th: DC Bound Boys!!! 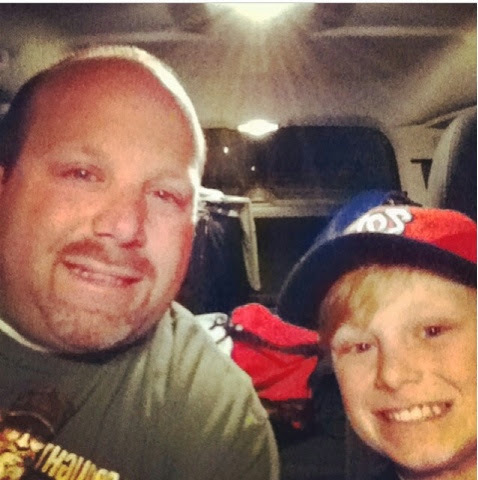 Daddy left for his annual trip to Virnigia and Washington DC with his school today but this year was different because Jackson finally got to go with him! He was so excited! Brylee had a game today and she played great! She caught a fly ball and hit a triple!!! So proud of my baby girl!!! 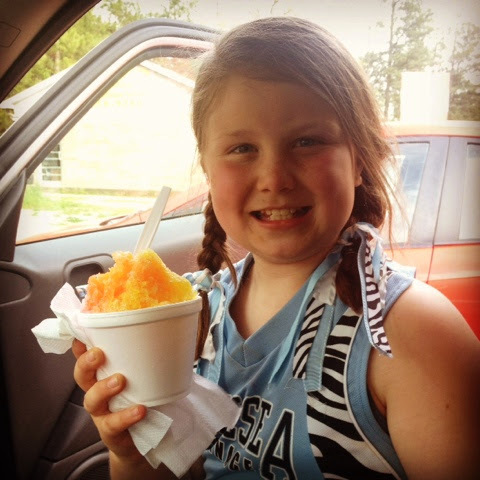 She treated herself to some Snow Shak after the game! Since Daddy and Jackson were in DC I had me a little bed buddy all week! We did great! This week use to stress me out but this trip was awesome! 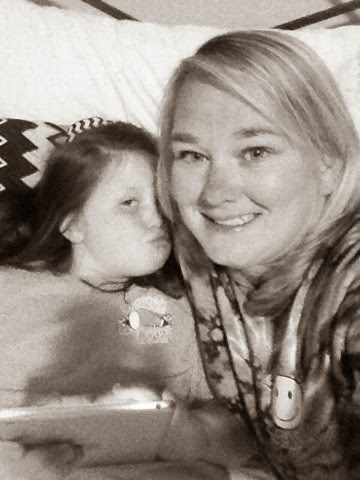 Brylee and I had a great week together! Well today was my birthday!!! I celebrated the 6th anniversary of my 30th birthday! ;) It was a great birthday... My parents took me to Slice and it was so good! 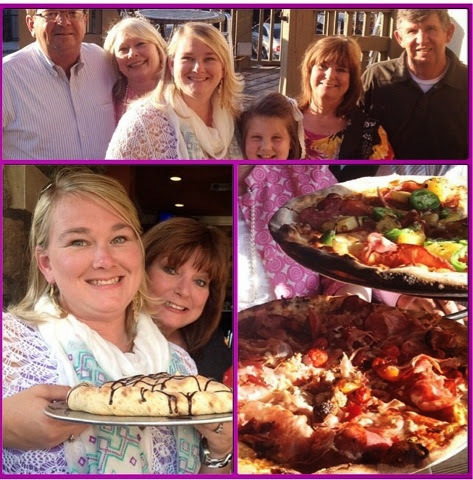 I had a great time enjoying the evening with my family! I missed my boys but they came through big time and surprised me by getting the house cleaned while I was at work! It was wonderful to come home to a clean house!